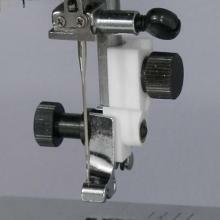 The Janome Fringe Foot, also called a tailor tack foot, has two uses. 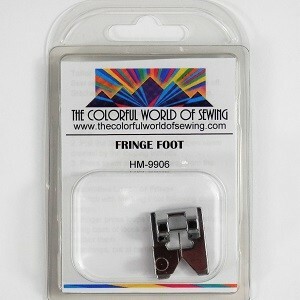 Use the Janome Fringe Foot to make traditional tailor tacks on your sewing machine for accurate pattern markings. Or, use this foot to make beautiful fringed flowers, appliques or rows of fringe with just a simple zig zag stitch and decorative threads. Includes instructions.